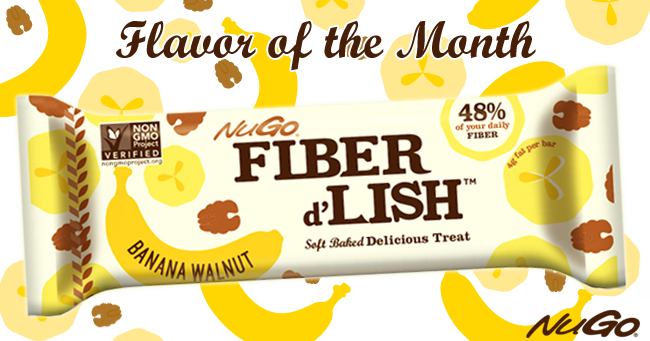 NuGo Fiber d'Lish Banana Infographic | Fun banana facts! Celebrate Banana Walnut with our Banana Infographic! Do you love banana bread? If you do, you’ll go bananas for Fiber d’Lish Banana Walnut. With sweet, bakery-inspired taste that feels like you’re getting a treat fresh out of the oven, Banana Walnut makes the perfect pick-me-up snack – and gets you well on your way to meeting your daily fiber goal! 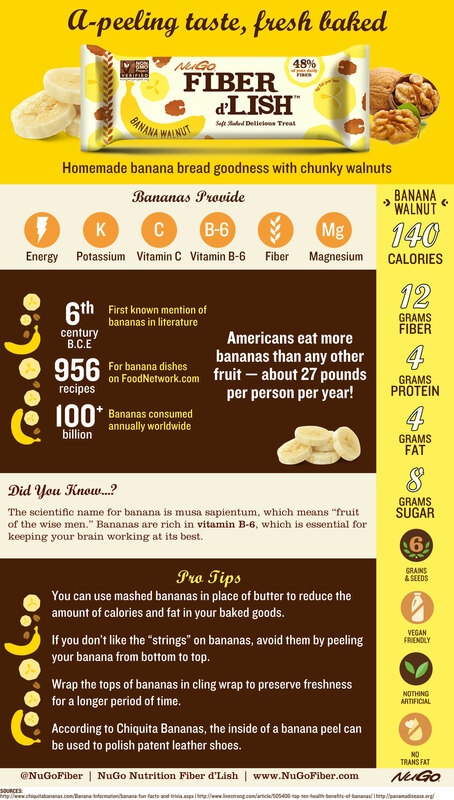 Share our banana infographic on Pinterest, along with your favorite way to enjoy bananas! If you’ve tried Banana Walnut, leave a review of the flavor here so other people can hear your thoughts.